Toyota Kirloskar Motor today announced the launch of the improved Innova Crysta and Fortuner MPVs. Innova Crysta was launched in May 2016 and has been the undisputed leader in the MPV segment known for its luxurious features, comfort, safety and powerful performance. On the other hand, the Fortuner with its bold design and imposing presence gives it a distinctively new driving experience, delivering Toyota’s legendary promise of Quality, Durability and Reliability (QDR) and off-road prowess as stated by the company in its press statement. 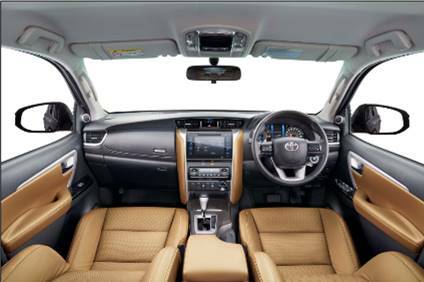 The Innova often referred to as the segment creator, has maintained a leadership position since its launch in India way back in 2005, continuing to be the most preferred MPVs in the country with a segment share of over 40%. The Fortuner with its tough and cool image has emerged as the most popular vehicle, dominating the SUV segment since its launch in 2009. It is well recognized for its best in class durability, on-road comfort and off-road prowess currently with segment share of close to 70%, adds the statement of the company.